This recipe is a total yay! was a little worried it might turn out kinda pasty, but it was much better than I had hoped for. Will def make this one again...Got 4 hearty bowls full. $7.16 total or $1.79 per hearty bowl of goodness. Being Texan I like my food with a little Spark. I admit I'm a Chili head and I like a good hot sauce. I've tried many but few are woth the effort to lift the bottle. To me it must have a fruity pepper flavor( By fruity I mean the flavor of the pepper must be front & center not fruit added to the sauce) Vinegarshould be an under tone. What folllows is arecipe for one of the best suaces I have ever used.If you like Chuala toll love this I make 1 batch a month, so yeah I like it. Use to sprinkle on tacos, tostadas or other snacks. You can also dash some into pozole, menudo or other soups. It lasts indefinitely. It's very close to Chuala sauce, but a lot better. Pumpkin seeds eh? Do they add that much to the sauce? With the cloves, sesame and pumpkin seeds and allspice, it should be kind of sweet too without that sugary taste. Interesting. Lacking seeds but having everything else available, I'll have to make some. Maybe a hit of cilantro too...(in the second batch. First try must be pure). It is 2 cloves of garlic. I really like garlic but 2 heads would be over kill. The pumpkin seeds do 2 things they add a sweet nuttiness and help to thicken the sauce. 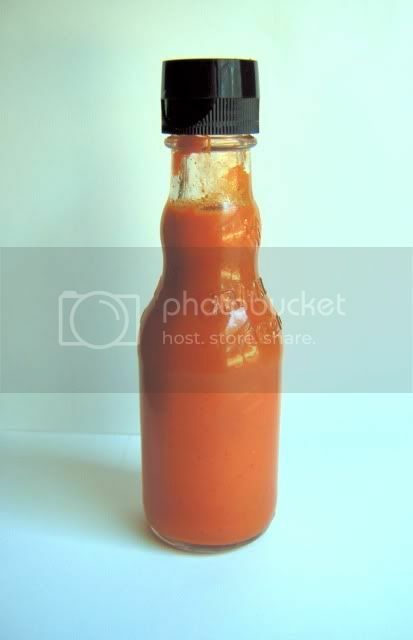 Here's another Hot sauce I keep in the ice box it is called FIREWATER the recipe comes from the Marlboro miles cook book it has great flavor heat level is dependent o the peppers you use to make it. Jalapenos & Serranos give it a nice Green chili flavor. Wash and cut slits in chili peppers, no need to remove seeds. Peel and slice garlic. Put oregano, bay leaf and cumin seed into a clean jar. Add chili peppers, garlic and salt; pour boiling water over. Cover and let stand overnight. Strain out solids; pour Fire Water into a glass bottle, adding a few dried pepper flakes, if desired. Drizzle fire Water over cooked chicken or meat; sprinkle over cooked vegetables. Dip crusty bread into it. Add to soups and stews. Smoke, would dried peppers work, I've got a bunch of several types of hot red chilly and Anahiem peppers that have been drying since last season ? I have never tried dried pods in this sauce, but from experience in re-hydrating them to make Enchilada sauce the water can get quite bitter something to do with the skins I wouldn't do it. Thanks, I'll wait, there's a Whole Foods store nearby where I get out to to pick up hard to get stuff at the super market, I'll get some fresh peppers there and give your recipe a try. I have not tried these but ran across them on another site sounds about perfection so who's game to try them? This isn't one of those fantastic gormet recipes that resemble a dish from your favorite eatery, but it's good old comfort food easily made in camp. I'm a potato salad addict, actually I love spuds no matter how they're fixed, but I can make a meal out of 'tater salad and potato chips. Most forays into the woods for me include potatoes of some kind, if i'm only going for the day i'll sometimes take a can of sliced potatoes, a stalk of celery, and a couple of skallions or small green onions, and a small container of premixed mayo w/a dab of dejon mustard. When it's time to eat, just slice the celery and onion into thin slices, open and drain the potatoes, mix it in a small bowl or your mess kit plate and stir in the mayo, add salt and pepper to taste and enjoy. If I'm planning on 'tater salad I usually pack a small can of Pringles originals to go with the salad, mm mm good. Try this variation sometime. Cook the potatoes with a couple of tablespoons of pickling spices. When the taters are tender remove from heat drain and add a dressing of red wine vinaigrette type dressing. Serve hot or cold. Being deathly allergic to mayo this is how I make my potato salad. Your recipe sounds similar to one that a friends wife makes, she's from Germany and says that's how they enjoy it there, usually served warm just above room temp. I didn't know you were allergic to mayo, it's a good thing to know since we share pot luck meals at the meets. With mayo being made from eggs and oil, what do you think causes the problem, the eggs or the oil, or is it when they are combined ? I do not know! I assume that homemade mayo would not bother me as neither eggs or oils bother me, but I?m not trying my luck. I assume factory brands have some preservative, or combination of ingredients. Slice the doughnut in half horizontally. Spread about a tablespoon of Marshmallow Creme on half of each doughnut. Top with chocolate candy bar pieces. Top with the other doughnut half. Wrap in foil or put in foil pan and put on fire just until chocolate melts. NOTE: I like this recipe because you can just bring enough for yourself or how many are with you. Just scoop marshmellow creme into a baggy for smaller amounts. Cut corner of the bag and squease onto the doughnut. * Equal parts of Baking Mix and Stone Ground Corn Meal. * Double Acting Baking Powder. * Butter, oil, or Bacon Grease for frying. For four large individual cakes. * 1/2 cup of yellow or white Stone Ground Corn Meal. * 2- teaspoons of double acting baking powder. * 1/2 cup of milk (or enough to make a thick batter). * 1/4 cup of sugar. * Mix all the ingredients in a med bowl and let set for 10 minutes. 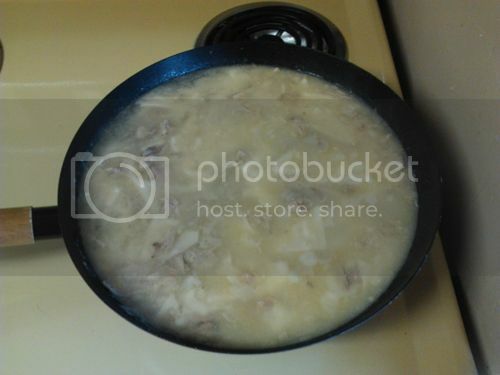 * Heat oil or bacon grease in a heavy skillet. 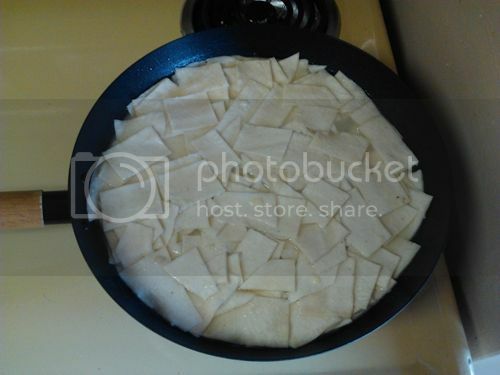 * spoon in the batter and fry until golden brown, turn over and finish frying until done. Enjoy as is, or top with sprinkled sugar, butter, syrup, apple sauce, or fruit preserve. One of the things that I have always enjoyed is a piece of rich moist chocolate cake. The best I ever ate is an old recipe That goes by a few different monikers, some call it Wacky cake, Depression Cake, I just call it the best Chocolate cake I ever ate. Growing up my Granny would make this for us kids. Anyway heres the recipe. Mix all ingredients until well blended. Bake at 350 degrees for 35 minutes. In a double boiler over hot, but not boiling water, combine chocolate chips, butter, and corn syrup. Stir until chips are melted and mixture is smooth, then add vanilla. Pour over cooled cake. Hey Smoke, I've made this cake again for the second time and it is great, far better than traditional box cakes, this time I cut the recipe in half, the full recipe makes a lot of cake, and I added a bit more cocoa, thanks for the recipe. Just whipped this up on a whim and it turned out so good I had to share! Drain and rinse the black beans, and drain the corn. Mix in a large mixing bowl with the diced tomatoes. Add cumin, salt, pepper, onion powder and hot sauce to taste. I used approximately 1/2tsp. cumin, 1/4tsp onion powder, 1/4tsp black pepper, and 1/2tsp. salt. Those are good starting figures, buut go easy on them at first, adjusting the flavor until you like it. For this recipe I used "Western Family" brand diced tomatoes with lime juice and cilantro. It is relatively mild. You may use RoTel, but that is significantly hotter and you might not need any hot sauce if you use the RoTel. Make sure to taste it every time you add more of an ingredient. This turned out really good for just popping open 3 cans and it made a lot of salsa, almost filling a quart size container. Took me about 10 minutes from thinking of it, to scooping it onto my first chip. The corn adds a sweetness, and the cumin and beans combine to give it a great, hearty taste. You could add chipotle powder if you like to give it a smoky flavor, but do that before adding the hot sauce. One of my rubs. This is a simple one that works great on beef destined for the smoker. I don't use sugar in this one. If you want it sweeter for ribs or such, mix in 1 1/2 parts brown sugar. I love me a good tater salad. I make it at least a day before and let it meld flavors in the fridge. I like mine with stuff. It's just as good with only taters if you like it like that too. Dice the taters and boil in salt water to tender. Diced veg: I use about a cup of veg total to two cups of potato. Squirt of mustard to taste. I like mustard so I use a lot. Good mustard makes the difference. I like French's yellow. I dump the dressing ingredients right on the taters and mix until it's covered how I like it. Seems to be about two cups of goo for six decent spuds. Your results may vary. Mix it how you like. A little salt, pepper, paprika and celery salt can tweak the flavor, but I usually don't add anything to this one myself. And no, there is no heat from the jalapeno, just a little crunch and an occasional bit of fruity chile flavor. The mayo and sour cream totally kill any heat a single, seeded chile could think of generating. As you know, I'm not really into detailed recipes. My wife cooks with "a pinch of this", "a dab of that", or "a small handful" measurements. So most of my recipes include only ingredients, and procedures. With a sharp slender knife (boning, fillet) cut pockets in the breast halves starting at the heavy end. Lay out your ham slices and spread a thin layer of mustard on them. Lay your spinach leaves on top if this. Lay a thin slice (or sprinkle the grated) of Mozzarella on top of the leaves, and sprinkle a few crumbles of the feta cheese on that. 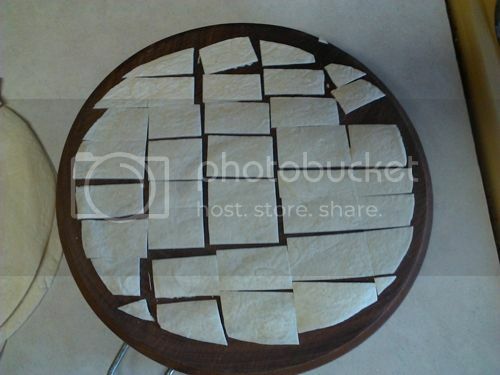 Roll up the ham slices to hold everything together. Stuff one ham roll inside the pockets you cut in the breasts. Place in the refrigerator to chill thoroughly. When chilled, dredge each breast in the flour, egg wash and breading. Double bread them if you like. Return to the refrigerator for another hour, or so to cool, and set up. This keeps the cheese from oozing out during cooking. Place the breasts in a shallow casserole dish, and place in pre-heated 450o oven for about 15 minutes. Reduce heat to 400o and bake for another 15-20 minutes until the breading is golden brown. 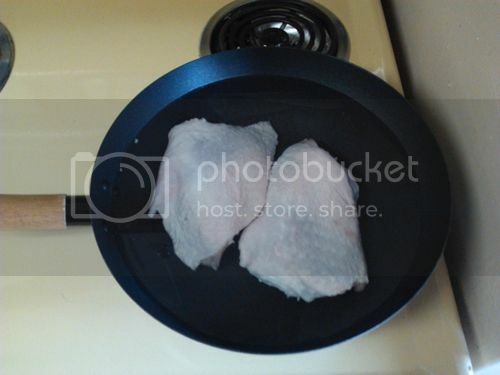 Cut each breast in half crosswise, and serve with rice, or other condiments. Place the ingredients into the can, layered as they are listed, starting with the hamburger. Cover the can tightly with aluminum foil and place into your cooler. You're done for now! To cook the meal, place the can in a medium hot area of your campfire and let it cook for about 45 minutes. Slide a fork down the inside of the can into one of the potato chunks to see if it is done. If the potato is done, everything is done. Looing sauce can be used with any type of meat. If you loo fish, don't save the left-overs (not that there are going to be any, though). I can't rave enough about the tenderness, and flavor imparted to even the toughest meat. I love beef roasts done this way, and it's perfect for wild game of all sorts. Simmer the meat/fowl in the sauce until tender. By tender, I mean you can shred it with a pair of forks. Serve the beef as you would any pot roast. Normally dry rabbit, or pheasant are amazing. Or...shred the meat for tortilla wraps, or other dishes. Sounds great, how about some quick Oriental rice to go with that Looed pot roast. * 1-1/2 cups of long grain white rice. * 2 tbsp. of Soy Sauce. * 2 tbsp. of fresh minced ginger. * 2 tbsp. of fresh minced garlic. * 1/2 cup of sliced celery. * 1/2 cup of diced onion. * 1/2 cup of diced bell peppers. * 1/4 cup of minced carrots. * salt & pepper to taste. + 1/2- cup of green onion sliced to about 1/2" lengths. Brown the rice in a dry skillet. Now add the rice, cook on simmer covered for twenty minutes. While it's simmering add a little water to the egg (1- tbsp.) and scramble the egg cooking it as flat as possible, set aside to cool. After the rice is finished, uncover and fluff it up, add the green onion, peas, and chopped egg to the rice and stir, let it set covered for a few minutes, stir again and serve. It sounds like a lot of work when explaining it, but only takes ten minutes of prep total, and the twenty five minutes of total cooking time. cup or so dry white beans. Soak overnight in plain water. Add water as needed to keep them covered. Use a bigger bowl than you think you will need...they grow. I used a whole smoked jalapeno too. Nice smoky flavor with a touch of heat. Red pepper flakes or not seeding one jalapeno will suffice as well. Try a tsp of liquid smoke if needed towards the end. Drain beans and add. Add water or stock of choice to cover beans. Bring to boil then set to simmer covered for about a half hour. Remove lid and check the beans. When they are about done (tender enough to eat) remove the lid and reduce the liquid off. Lower heat when the liquid is about half as much as the beans. Add about a cup of ketchup of choice (I like Hunts without HFCS), about 1/4 cup worchestershire sauce (I use the thick stuff) and a couple tablespoons of bbq sauce of choice. I usually add a small can of tomato paste, but didn't have any this time. Came out good, if not better. Adjust with ketchup and other sauces as needed. Simmer a few minutes more and stir well. They'll be better tomorrow. I guess I don't have to tell you that the wife and I are partial to chocolate cake. Seems like this section is dying here, time to bump it up a little. My wife's favorite chicken dish. Butter and light olive or veggy oil. Serve with Rice Pilaf and candied carrots (carrots steamed eldenti and coated with butter and honey and lightly salted), and a pat of cranberry sauce. i think the main problem with a general recipe section is the fact it's so general. When it was a new and current topic folks checked back in to see whats up, but after a while it gets old and folks look for newer topics to pique their interest. If it was categorized into different types of recipes then folks could look up "chicken dishes" for example and either retrieve the info for their own use or add their review of the recipe. Brown and drain the sausage and onion. Then, add everything together into pot and simmer/cook on low until ready. 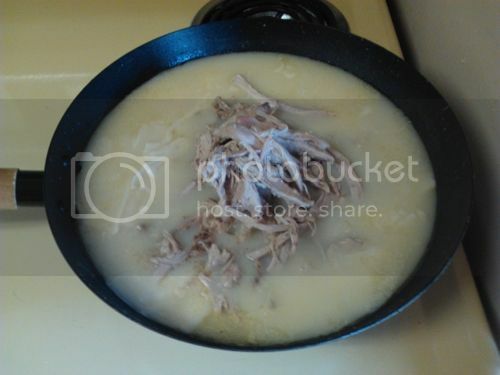 Simmer together and top with shredded cheese. That sounds like just the thing for leftovers after roasting a chicken! It would probably take the leftovers from 2 or 3 of them, but I could freeze them until I had enough to do a 1/2 portion recipe. Dry stuff into the machine first, yeast on top. Oil then yummy stuff. I start my machine and add water as it mixes until the dough is right. I like it just a bit wet. The whole wheat flour takes a bit to absorb all the water. I diced and tossed in the veg while frozen. Made for less mess. Thaws and mixes the smoke flavor in during the rise and mix cycles. Same mix should work fine for regular bread too. Slow rise dough takes to this very well also. Since I just baked 6 loaves of this bread today, thought I'd pass it along for those who don't have the recipe. Forgive me if it's been posted before. On Day 1: Soften yeast mixture in 1/4 cup of lukewarm water. Set aside for 5 minutes, then stir well to be sure it has dissolved. In a glass or plastic bowl, combine 1 cup sugar, 1 cup flour and 1 cup milk. Stir in yeast mixture using a wooden or plastic spoon (don't use metal spoon or electric mixer). Cover bowl loosely with paper towel, cloth, wax paper or plastic wrap. Keep at room temperature (don't refrigerate). In mixing bowl, combine all ingredients. Bake in 2 well greased and floured or sugared 9"x5" bread pans. Bake in 350 degree oven for 40 to 45 minutes. NOTE: Raisins, chopped apples, drained, crushed pineapple, candied fruit, coconut, mashed banana, dates, chopped nuts and/or chocolate chips (1/2 cup each) may be added to batter before baking. I prefer sugaring the greased pans. A couple slices will satisfy just about any sweet tooth! OP.. do you know if the three cups that are supposed to be given away can be frozen in 1 cup containers instead? I think this is the same bread that my mother made when I was a teenager.. the recipe had poppy seeds in it. Very good. I don't know what freezing would do to the yeast culture. That's what makes the whole thing work. Kinda like sourdough. Using just enough flour to keep the dough from sticking to the work surface or to your fingers, gently shape it into a ball. Generously coat a clean dish towel with flour, wheat bran or cornmeal. Put the seam side of the dough down on the towel and dust with more flour, bran or cornmeal. Cover with another towel and let rise for about 1 to 2 hours. When it?s ready, the dough will have doubled in size and will not readily spring back when poked with a finger. At least 20 minutes before the dough is ready, heat oven to 475 degrees. Put a 6- to 8-quart heavy covered pot (cast iron, enamel, Pyrex or ceramic) in the oven as it heats. When the dough is ready, carefully remove the pot from the oven and lift off the lid. Slide your hand under the towel and turn the dough over into the pot, seam side up. The dough will lose its shape a bit in the process, but that?s OK. Give the pan a firm shake or two to help distribute the dough evenly, but don?t worry if it?s not perfect; it will straighten out as it bakes. This is a recipe from the Complete Home Preserving book from the Ball company. I can't rave enough about the taste and texture of these pickles. 1. In a glass or stainless steel bowl layer zucchini slices with pickling salt. Cover with cool water and let stand for 2 hours. Transfer to a colander in a sink and let drain. Rinse with cool running water and drain thoroughly. 2. 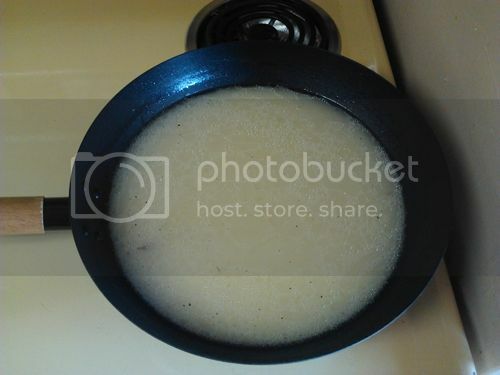 In a large stainless steel saucepan, combine vinegar, sugar, and spices. Bring to a boil over medium-high heat, stirring to dissolve sugar. Reduce heat and boil gently for 5 minutes, until spices have infused the liquid. Stir in zucchini. Remove from heat, cover and let stand for 1 hour. 3. Meanwhile get your jars and canner ready. 5. Pack zucchini into hot jars to within a generous 1/2 inch of top of jar. Ladle hot liquid into jar to cover vegetables, leaving 1/2 inch headspace. Remove air bubbles and adjust headspace, if necessary by adding hot pickling liquid. Wipe rim. Center lid on jar. Screw band down until resistance is met, then increase to fingertip tight. I've tried lots of different baked spaghetti recipes over the years, but this one is still the best I've tried. I got this recipe over 30 years ago and it's a good one for when the weather starts to get colder and ya want something that'll "stick to your ribs." 'Course, it ain't bad in the middle of the summer, neither! Brown meat and onions. Drain. Add tomato soup, juice from olives, Worchestershire sauce, salt, pepper, and garlic. Mix well and bring to boil. Cover and simmer for 45 minutes, stirring occasionally. Cook pasta and drain. In greased baking dish, layer 1/2 pasta, 1/2 sauce, 1/2 cheese. Repeat layers. 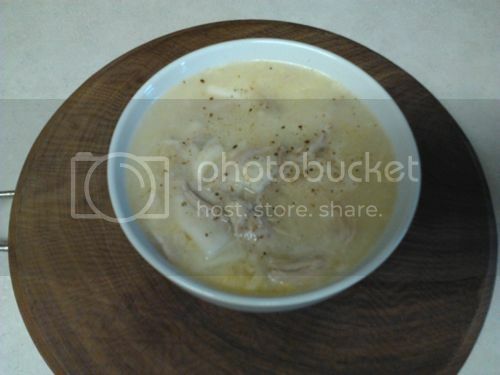 Top with can of cream of mushroom soup and some chopped olives if desired. (I do and add black sliced olives, too.) Bake at 350 degrees for 30 minutes. FWIW, my wife says to use only half the juice of the olives, but I like using all the juice. Some times you hear about a recipe that says to you, this is so weird it's got to be good, thanks for posting it, I'll give it a try and let you know if I'd do it a second time. Doesn't sound all that weird to me. We've done variations on this with great results (like diced up sausage instead of ground beef). We've also used penne or elbow macaroni instead of spaghetti. The kicker for me is the olives. I'm an olive freak, but I'm the only one in the family. I'd love to try this recipe, but without the olives it obviously wouldn't be the same. Don't let that stop you, what they can't see they can't complain about, use the olive juice, chop up half the olives and reserve to sprinkle them on your plate full later, munch on the rest while you are waiting for the stuff to come out of the oven. I don't particularly like soup so I do something a little different with my Top Ramen. Unswydd , I'm going to have to give that a try and see if I can eat those things. Thanks! I think you'll find it yummy! I hate ramen.....lol but love it fixed this way!!! !